Hurricane Florence, Culmination of Exploitation of Natural Events by Government, Extremists, and Business | Watts Up With That? September 16, 2018 in Opinion. Kent, they are perpetrating a hoax on the American people by stimulating the Amygdala and implanting their messaging into the unassuming human subconscious. As a result many will more easily buy off on the narrative that nature kills and it is all our fault for burning fossil fuel. Nope, I am not making this up. The shark has been jumped, people. Popcorn and wine for all! One way they justify exaggerating the strength of an imminent Hurricane, is to get people to evacuate, especially along the barrier islands and the Florida Keys, just in case it really is bad, because they really are clueless about how bad it will be and they know it, they just don’t want to admit it. Unfortunately, this will have the unintended consequence of fewer people evacuating, knowing that the risk is consistently exaggerated. There is an interesting observation to be made comparing heat waves with cold snaps and the resulting death rates. With a heat wave, there is a peak of deaths but, after that, there is a dip in the death rate, which means that the heat wave killed those who were already with one foot in the grave. The heat wave simply shortened lives from a normal background death rate. A few people simply died a couple of weeks earlier than if there was not heat wave. A big item a lot of people take for granted with cold is traffic deaths. There are thousands of traffic deaths every year in Canada due to snow and ice. This isn’t one of those “maybe kind of related” things. This is a direct causation. The death toll of Katrina includes people who died in Texas. They were safely evacuated but died of “stress”. Anything to pump up the death toll. A man suffering a heart attack is transported to the Hospital, but the road is blocked by a traffic accident and the man dies in route. Did the traffic accident cause the man’s death? If the traffic closure was due to a due to a flooded road, was that the cause of death? The answers were essentially, “No” in both cases with some adding contributory factors, but with the caveat that the man could have very well died anyway. When informed that the 3rd death attributed to Florence was indeed this exact situation some acquiesced that the statistics were being cooked. Other’s wish to be deluded. Looking through the 30 attributed deaths, all are lamentable, but attribution to any storm is dubious at best. ..and the news getting caught faking it over and over…. My absolute favorite..the weather channel puts some sacrificial reporter…right on the beach…to everyone they are all going to die….people see that and go “like hell”…..who’s going to go into debt, and all the trouble, evacuating when they see that? They do that in Florida every year. Been in Florida 11 years,central east coast 1 block from the beach. Haven’t evacuated yet. chances of, maybe,perhaps,makes his spiel along with the ambiguous map that has 50 different lines of spaghetti on it that don’t tell anyone anything other than there is a storm brewing,but we don’t know where it is going to go. What’s worse than the obvious playacting of the pretenders is trying to read the news stories they have posted. Just about everything that could otherwise be an interesting read is spoiled by the insertion of CAGW blather in the article & I quit reading when I come to that part. One of the things that makes me laugh is that they are always flashing me a little message to turn off my ad blocker because ads pay their bills. I think yea I don’t really care if you go broke cause the AGW message & false reporting are not what a reputable weather station is supposed to be about. In short I hate liars. 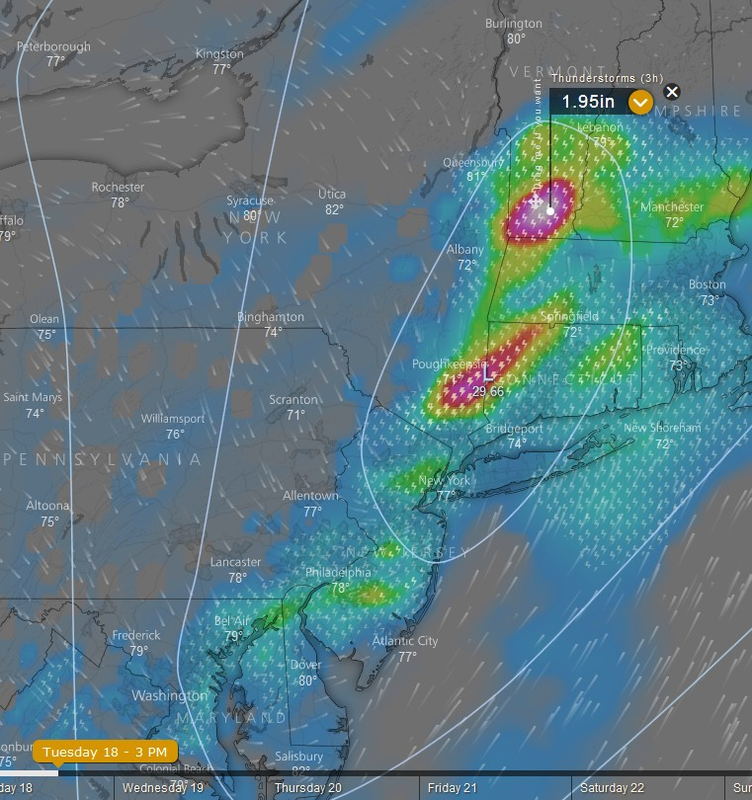 The problem for the MSM and the politicians is that they hype up the storm while it is still 3-4 days offshore, using someone’s wind estimates, and someone elese’s predicted track. Then, they don’t antiticpate upper-level wind shears, or the effects of colder water, or whatever, and the storm weakens and weakens. But they have already invested themselves in the story, and can’t back down. So, instead of “the worst hurricane ever”, it becomes “well, the storm has weakened, but it’s going to linger and drop a lot of rain in one place” and “it isn’t over yet – there is still going to be catastrophic river flooding”. They believe their initial lie, and then can’t admit they are wrong. Also, they send massive amounts of reporters (even Don Lemon, from CNN) into the area, and they have to have something to report, so they use lots of scary-sounding adjectives to describe what is really a pretty pedestrian stomr. The radical enviros are typically dishonest – “any lie is OK, if it supports the Cause”. Eco-extremism is the new “front” for economic Marxists, who were discredited after the fall of the Soviet Union circa 1990. I have corresponded with Patrick on this essay and I think he “nailed it”. So did he. The LWIR upwelling 396 W/m^2 does not exist – the GHG energy loop “warming” the surface and atmosphere does not exist – and the global warming and climate changes that are attributed to carbon dioxide and mankind do not exist. Using all the energy flows except the bogus surface emission and the bogus back radiation figures of NASA, I get 58.5 W/m^2 from the surface but NASA says 40W/m^2 of that is the straight through atmospheric window. 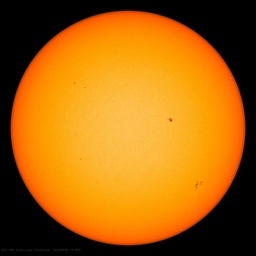 I have not seen proof of the atmospheric window number of 40W/m^2 though. So this 18.5 W/m^2 is where all the trouble starts. Even the alarmists would have to admit that little back radiation existed in the year 1750 so that we can start with above figure of 18.5W/m^2. That is of course assuming that the 40W/m^2 for the atmospheric window and the 18.4 for conduction are correct. I have verified from the hydrological cycle numbers that the evap figure of 86.4 is more or less correct. because it doesnt take into account the net residence increase of those GHG’s per year. For CO2 we know it is on the order of 0.5%. However as you can see from the above study, methane has become more important. Since the actual forcing of the present levels of methane are now 30% of the forcing of CO2 , it will be interesting whether the IPCC proposes to ban the 1.5 billion cows. However since human emissions of water vapour are only 1% of natural sources, at least IPCC won’t yet propose to ban us from watering our lawns. However from the radiative forcing study above, increase of CO2 forcing from 1950 has been 1.4 W/m^2. So dividing by 68 years we have 0.02 W/m^2 per year for CO2. Or since 1950 when the modern day heavy CO2 emissions began, water vapour has a forcing of (0.1178 / 0.0288) = ~4 times the amount of all GHG’s. This brings up an important point. If there is back radiation with CO2 then there is back radiation with water vapour. Thus if there is forcing of more water vapour with CO2 then there is more forcing of water vapour with water vapour. If water vapour is 4 times more powerful than CO2 in the atmosphere at 408 ppm CO2 , then why havent we had runaway global warming because of water vapour? Is it because that the 18.5 W/m^2 that I derived above from surface emission only translates to a 3.3 W/m^2 of increased forcing from water vapour since 1988 and the 2.3 W/m^2 from all GHG increased forcing since 1750 ? Obviously this total of 5.6W/m^2 of all forcing means that 18.5-5.6 = ~ 13 W/m^2 escapes into space along with the other 40 W/m^2 in the atmospheric window. Also every little bit of the released heat from condensation obviously escapes back to space. Trenberth thinks the missing heat went to the oceans. How could it get to the oceans surface without also getting to the land surface and heating us up? This is all Donald Trump’s fault. are hitting us left and right. So they are obviously his fault. hurricanes from his own vast fortune. Insurance–>Underwriter (down to the last cufflink, it was, to be a member of Lloyds) not any more. Instead we have –>Re-Insurance= circular logic .. take a piece of the premium and pass on the risk.. ergo the Underwriter is now the Taxpayer= same guy who pays the premium (see AIG $180 Billion to pay shorts/claims to Goldman Sachs et al. 2008/9). Fast forward: Honest Joe, my Turf Accountant, (he doesn’t like the term ‘Bookie’) pays out 80-90 cents on the Premium $ v 25-30 cents (last time I checked) by your Insurance Co. ! My recommendation: Bet ON the Hurricanes not AGAINST them…. much better odds and more fun too! Private insurance doesn’t offer flood insurance, they may pretend to, but the flood insurance comes from the federal government at heavily subsidized rates. Most People decline because FEMA will give grants and low interest loans to rebuild the homes anyway. There is a great deal of hype concerning any natural disaster, and a good many useless proposals to deal with the problems. Renewable energy to deal with global warming would be counterproductive with tropical storms, given the frailty of the systems, and the general lack of relationship between CO2 and storms. Dealing with the effects of these storms is mostly zoning in not building in the worst flood zones, and building codes that deal with the side-forces and uplift. There was a picture of a hurricane damaged building on this site last year (I think) with brick veneer not tied to the frame walls, and the wall sheathing being foamboard over the studs. A fair example of what not to do to harden a frame structure against windstorms. We could nip this in the bud beaucoup quick–the Insurance Companies just have to decline to ever insure again any building in a floodplain or below a certain sea level in surge-prone areas. You want to live there, the risk is on YOU–not the stockholders, not the co-insured, and sure as HELL not the taxpayers. Fine, build your hacienda-on-stilts below the high-tide line. Knock yourself out . . . but YOU take the risk! Ever wonder why Native Americans and early settlers (say, before 1880’s) never built much in these places? Riight–they understood nature’s power and cycles, and did not suffer from modern hubris where we think we CONTROL climate, weather, and storms. The wild TURKEYS in my woodlot are smarter than most modern humans. And certainly manage hurricanes better. The insurance companies don’t insure against floods. In certain places federal flood insurance can be purchased. Most of the properties in the flooded areas in N Carolina aren’t covered. The insurance companies declined to provide flood insurance long ago. In flood prone areas it is possible to buy federal flood insurance but most of the houses in the flooded areas in N Carolina don’t have it! Because FEMA will cover half the cost of rebuilding anyway. Why buy insurance when the government gives you money for free? Most of the people in the affected areas apparently don’t know that they don’t have coverage. Relying on FEMA is very risky (and based on Sandy not very reliable), for example it requires that a federal disaster be declared which wouldn’t be the case for localized floods. Also you’re probably alright if you live in a Republican district but it’s a bit more dodgy if in a Democrat district. Blue states are expected to subsidize the red states and not apply for assistance. Thirty six republican senators voted against the emergency spending package for Sandy (NJ and NY etc. ), no such reticence by them in applying for aid after Harvey in Texas. When faced with disasters you have two choices. Put up with so called gouging, or be prepared to deal with massive shortages of everything. I worked for Sears in Atlanta when Andrew hit Florida. The night before Andrew hit, a gentleman bought every gas powered chainsaw in the store I worked at. He said he was taking them down to Florida to sell. If you think he was planing to sell them for the same price that he bought them, you don’t know human nature. He was planning on selling them for as much as he could get. Does anyone think he would have gone to this effort if he knew he couldn’t make a huge profit? Does anyone think the people of Florida would have been better off had the man not brought down extra chainsaws? Do you guys have a volunteer group like Emergency Services? or perhaps Army Volunteers? or anything along those lines? You can either harness our faults so that they produce good, or try and remove our faults so that we become good. One works, the other does not. I live in Raleigh which is on the north edge of the storm. As the storm slowed, the bigger issue quickly became the rain bands away from the eye coming in over the same areas. Hours of 2+” of rain an hour quickly becomes overflowing rivers. The flooded areas of New Bern, Belhaven and some others on the western side of the sounds floods during Nor’easters, so this is not unexpected. The only difference with Florence was it has crawled along so the wind has lasted days causing higher waters. We have had other hurricanes with more wind damage, especially inland. Fran was more intense for a shorter time. Matthew dumped more water upstream so the flooding came down river from farther up. Florence will be memorable like Harvey for just how long it stayed around. Other than that, it was your basic hurricane. It wasn’t Hugo or Hazel which roared in as true major hurricanes. It certainly wasn’t a Camille that put large ships 2 miles inland. It just kind of eased on in and as I write this, is still wondering slowly over South Carolina. Everyone will be glad when it finally leaves. Here in the northeast, rainfall amounts could be in the 2 – 3″ range, with perhaps some minor flooding issues. Not unexpected, and to some extent, welcome, as it’s been a bit on the dry side the past few weeks. And the CAGW crowd will claim the rains are a sign of global warming. Of course they claimed that hurricanes would increase in number and when that didn’t pan out it was they would be more intense and when that didn’t they would cause more rain because they’d more slower (that was based on Harvey). So they’ll add Florence to the list of “proofs”. A radio talk show host (with the initials RL) made a point that most peoples (certainly the presses) history only covers the time they were alive. I’m beginning to think he’s right. They keep talking about Sandy being “unprecedented” (a cat 3) and never mention the 1938 hurricane that devastated New England for example. Sandy was barely a Cat 1 at landfall. Sandy wind speeds at NJ landfall were well below Saffir-Simpson category 1. The NHC reported the downgrade to post-tropical cyclone in real time. The media simply failed to cover that. In Florida, they have massive infrastructure for dealing with rain. Is that nor present in the Carolinas? I know the Carolinas get fewer hurricanes than Florida, so maybe it is easier to just deal with the damage rather than prepare for it ahead of time. The average slope of the ground in both Carolina’s is many times greater than FL, and the actual slope (even from “bottom of the Piedmont (lowest hills of the Appalachians) to the coast is many times steeper than FL. So the water runs off much, much faster than in FL. The kicker is, one of these days they will cry “wolf”!, and it truly will be a wolf, but many won’t believe it, and many deaths will result. That will be on their heads. Interestingly, trust in media and trust in government seem to be correlated. Because the media, many decades ago, threw in with the party that advocates for more centralized government solutions to everyday problems as they slowly yet openly evolve int the the American Socialist Party. This maneuver has always required a government controlled Propaganda Ministry masquerading as news. Hurricanes in the North Atlantic usually start out tracking to the northwest and then curve to the northeast. That’s why the forecasts showing Florence curving to the southwest after landfall seemed a little strange. Of course, local pressure areas can affect how hurricanes move (in weather, likes attract and unlikes repel). I notice that the track of Florence is as expected–northwest to northeast–even after landfall. Yes, here in Southern Vermont according to the Windy forecast, we are expecting a few inches of rain Tuesday afternoon (not as bad as Irene – that was a heart stopper). The explanation of coriolis here is not very clear. Coriolis is a reaction, rather than a force. The winds try to blow and flow in a straight line, as everything does, but the spherical curvature of the Earth gives the winds (and bullets and cannon-balls) an apparent turn to the right, in the northern hemisphere. This has the resultant effect of creating a low pressure to the left, which draws the wind to the left, so the winds always spiral anticlockwise into a hurricane or depression in the NH. However, the further north you go, the greater the coriolis reaction. And since this increasing reaction is to the right, it opposes the left turn of the winds spiraling into the low. So a hurricane will naturally widen, and its peak winds reduce, as it travels north. An Atlantic depression hitting the UK will have almost as much energy as a tropical hurricane, but its center will be more spread out and its peak winds lower. I would say that a more accurate description of the Coriolis effect would be the conservation of momentum rather than your “low pressure to the left” explanation. Think of the figure skater’s spin as she brings her arms in close to her body. Imagine a wind blowing directly north from the equator. As that wind follows the curvature of the earth northward, the land beneath is rotating eastward more slowly as one proceeds northward following the curve of the earth. In order to conserve momentum, the air mass must maintain the original eastward velocity so it appears to gain a velocity component in the eastward direction as it flows northward. Moving toward the equator, the Northern Trade Winds curve westerly as they flow toward the equator. Another factor not mentioned here, was the cyclone energy potential. The waters to the north were warmer than usual, but not warmer than the tropical waters. In addition, the depth of that warmth was not that great. A hurricane will churn up the sea to quite a depth, and so if the oceanic warmth is shallow, the hurricane will mix and cool the sea surface very quickly. And once that happens, the cyclone strength will likewise decrease rapidly. How deep can/does a typical hurricane ‘churn up’ the water? I’ve never really thought about this before. There were a lot of media organisations and other sufferers of Trump Derangement Syndrome hoping that Florence would be a disaster with huge loss of life and property damage so they could lay the blame at President Trump’s feet in their wish to destroy him. As far as they were concerned, lives and property were just collateral damage in support of a greater cause. Thank you for that Dr Ball. The take home quote for me was “we charge what the market will bear”. I had naively pictured teams of actuaries bent over their desk scanning the statistics to evaluate risk and levy charges accordingly. However in a situation where they rely on “what the market will bear”, it is in their interests to hype up all of the dangers so that their customers will be happy to accept larger and larger costs if they perceive that the risks are continuing to increase. When I was a lad and they sent kids up the chimney to sweep them, thieves were generally freelancers, working on their own. These days they are company men and occupy the offices of reinsurance companies. In reality, is that not how almost all business works? They charge what the market will bear. When you sell your house you get as much as the market will allow. My stocks are worth what someone is willing to pay. It is free enterprise, so I see nothing very shocking about that statement. If people do not do their own research and accept the inflated prices, then that is what the companies will charge. …They charge what the market will bear…. Yes, in a free market. When the market is heavily regulated you must buy from the Government approved store (i.e. Insurance) which quickly becomes what you can afford to pay rather than what the market will bear. “All that you can afford to pay”. How much money? All of it. They are really reaching on the “death toll” thing, now up to 16. Included are a couple who died from CO, i.e. were stupid, and had a generator running close to, or even in their house, and the driver of a pickup truck that went off the road. And that was Florence’s fault because…. And there was the old guy who electrocuted himself connecting an extension lead! Very well written post Dr. Tim Ball. Now we gotta get Trump to read it….imagine the tweets he could pull out of it. Just wait till the category 6’s get here!!! ..not sure if that is cat 6 hurricane, or cat 6 spinning…. Nice to see you again Heidi DeKline (Deklein?)! I’ve been wondering where you were hiding?! A hurricane is normal and is only defined as disastrous because of the damage, death, and destruction it does to humans and their constructions. I am still in awe and wonder at how nature can coral all that water vapor — millions of tons of it, into a cohesive entity like a hurricane and then move it hundreds, if not thousands of miles, to dump that water all over the land. Do not underestimate the power of The Force The Carbon. Indeed, it is essential component of our food, it makes plants grow and it burns so making it the most preferable source of ‘portable’ energy. It is just that some people do not understand any of it. I actually collected data by going up and down the coast on my interactive accuweather station on dish network a d never found a sustained wind velocity over 49mph. Gusts were to 75 mph. Not really a hurricane as defined here http://www.aoml.noaa.gov/hrd/tcfaq/D4.html. Most of the surrounding land based anemometers showed winds in the 50 knot range. The station located at Cape Lookout recorded higher winds, but the anemometer was located higher than the standard 10 meters site elevation. It will be interesting to see the final NHC report on Florence. I think this needs to be researched and published. NOAA and others are massively deluding the population. There needs to be an accounting. Consider how much infrastructure could be made hurricane proof with the billions of dollars spent by the Federal government on AGW. The government AGW scaremongers are not in office to do good or do thigs that make sense. They are around to frighten the sh*t out of the people. Frightened people are easier to control. Regarding Florence coming ashore as barely Category 1: Intensity was 90 MPH and landfall had occurred according to the 60A Public Advisory. Regarding models getting the path and intensity of Florence wrong only 48 hours before landfall: No, they got the path right, and the intensity was only a little less than expected. The #57 forecast discussion gave a 24 hour forecast of 100 MPH for the time that turned out to be when landfall occurred, and said Florence would be “near the coast” then. The #53 forecast discussion gave a 48 hour forecast of 120 MPH, but also mentioned that the wind forecast for up to 48 hours was on the high side of the guidance. Regarding Katrina being barely Category 3 at landfall: No, it was barely short of Category 4 at landfall. It was even originally considered Category 4 at landfall, but downgraded to barely short by reanalysis afterwards. Land and offshore anemometers near Florence landfall all show about 50 knots sustained winds. That’s well below the Saffir-Simpson category 1 threshold of 64 knots. The closest NDBC station to landfall was JMPN7. Florence crossed directly over that station, with leading eyewall showing 52 knots sustained winds, the low winds of the eye, then the trailing eyewall with 56 knots. There is one NDBC station at Cape Lookout, NC with higher speeds but the anemometer height above ground for that station was higher than the standard 10 meters. None of the real time video of the storm showed Saffir-Simpson category one winds at landfall. Post storm photos of the surface damage show little wind damage. Certainly not reaching the criteria listed for a Saffir-Simpson cat 1 storm. bwegher: I followed your link, and I got results of only one anenometer, the one at station 8658163. The fact that you mentioned leading eyewall and trailing eyewall indicates that you missed where the winds were strongest, which was farther north (or northeast) in the right side of the eyewall where the wind did not have a double peak (at most hardly one), with a distinguishable lower wind period in between due to being closer to the path of the center of the storm than where the strongest winds were. Some stations in this area were not reporting wind conditions, for example 8658120, Wilmington NC. Also as a result of following your link, I saw a feature for “nearby stations”, and they appeared to me as mostly about 100 miles apart. And I was not able to get your link to show JNBN7, which sounds to me as a buoy that was close to the point of landfall because you mentioned a double peak in wind speed – and the strongest wind while Florence was landfalling probably happened around 20 miles northeast of the one that you mentioned, which your link did not mention unless I missed something. If I missed something that you know of that supports your case in light of this, please show us where to see it. I did some followup by googling for JMPN7 site:noaa.gov. I found it, it’s the same station as 8658163. The nearest land station to the northeast was the Cape Lookout one, CLKN7. Its greatest continuous wind, noted as a 2-minute average, was 34 meters/sec to the nearest .5 meter/sec, which is 76 MPH to the nearest MPH. And it’s anemometer height is 9.8 meters above site elevation. CLKN7 is about 77 miles from JMPN7. The strongest winds occurred somewhere between these two, where there are no NDBC stations at the coast. The strongest sustained wind I found so far for a buoy in this general area was at the buoy 41065, between JMPN7 and CLKN7 (but about 35 miles from the coast), 24 meters/sec to the nearest 1 meter/sec, which is almost 54 MPH. This is an 8 minute average, and the anemometer for that buoy is 2.95 meters above the sea surface. The peak gust was 50 meters/sec, about 112 MPH. There is no wind data for the nearby 41159. I looked for other buoys well between JMPN7 and CLKN7 and didn’t see any. There will be few survivors in its aftermath – just wait 100 years. This goes beyond exploitation. It’s qualified organized looting. This fake weather attribution nonsense is dirty Obama era policies in action – extreme weather SWAT team to exploit natural disasters for political ends. Good post by Dr. Tim Ball. If voting was still functional the trolls would give me the badge of honor by their down votes. We’re having another heat wave here in drought-stricken Colorado. My personal experience has been that heat waves here are strongly correlated with Atlantic hurricanes. I’ve developed a theory that since the overall atmospheric pressure must balance, areas of extreme low pressure such as tropical systems should be associated with high pressure somewhere else. This is a simple yet interesting idea, but I have not seen it discussed elsewhere. One of the implications of this theory is that oceanic heat is converted into the kenetic energy of convection and advection by the hurricane, then this energy is converted back into heat by the ridge. However, the ridge is far inland in an arid area, so this heat does not evaporate much water and does not participate in further iterations of the convective storm cycle. It is here, in the ridge, where it is finally dissipated into space by radiative cooling. The upshot here is that a particularly active tropical storm season would be indicative not of global warming but of a far deeper and more structural trend towards global cooling, as the comparatively stable oceanic heat is converted first into mechanical motion and then into dry atmospheric and surface heat, and finally into radiation. The deserts are the great radiators of the globe. If we assume that the solar constant doesn’t vary significantly, then if the deserts are getting hotter, that means that the oceans are getting colder. Remo , I was wondering whether one can take your ideas about the energy contained in individual hurricanes a bit further. One of the current points of disagreement is whether the present Modern Warming Period (ModWP) is making the frequency and severity of hurricanes (and for purpose of discussion lets restrict to the Atlantic variety) greater or less. Suppose one could sum up all the kinetic energy and its excess enthalpy to provide a total energy figure that increases from inception off the west coast of Africa or mid ocean until its landfall in the eastern US or Caribbean. Instead of plotting frequency of landfall of hurricanes of varied category, which is sometimes contentious, look at the total storm/ hurricane energy per season for the pre ModWP and for recent decades to establish whether there is a connection with the (very) slight recent warming of the Atlantic. The regulars, with real knowledge of meteorology , will now say that that has been done since , oh, about 1803. In which case what do the plots look like? As is well documented, previously the (now disappeared) global cooling scare was previously blamed for a deterioration in global weather. I think the truth is that severe weather events arise when you have a large temperature contrast, however that arises. I have heard that with the right statistical model some hurricanes have actually saved lives. That’s interesting. I saw a graphic on tv the other day showing that Hurricane Sandy was estimated to be 1,000 miles in diameter, while Hurricanes Katrina and Florence were each about 500 miles in diameter. So is Hurricane Sandy’s more northerly course the cause of it being so wide? I would guess the Northeaster that merged with Sandy when it made landfall added to Sandy’s size. ” … Another was the three-dimensional dynamics of a system that stretches from the surface to the Tropopause. That very distinct boundary is twice as high over the Equator (approximate average, 18 km) as it is over the Poles (approximate average, 8 km). This means the system gets flattened out as it moves north, which explains why Florence became much wider. As it widens the wind speed diminishes in the opposite effect to a skater spinning with arms spread spinning slowly and increasing spin rate as the arms are drawn in. Very simply, the speed of rotation is determined by the radius of the mass from the axis of rotation. The combination of the energy in the system and the reduced speed of rotation served to alter the path the system takes. The Coriolis Effect is changed, which is partly why they got the direction wrong in such a short distance. I liked your post Tim, except this quoted part made me doubt your emphasis it criticizing forecasts and path-intensity models. I disagree about the path forecast criticism. I thought it was very well forecast for path (but I’m not in the USA and don’t see the media source dirge you see). The US Navy’s site “Navy/NRL TC_PAGES Page” ( https://www.nrlmry.navy.mil/TC.html ) provides a forecast that appears to broadly mirror the European ECM model output for path but includes their own wind-field intensity forecast and mapping. IMO, the US Navy’s method is very usable and is quite reliable, sufficiently accurate over time for planning purposes. It exists because the USN determined it required a reliable 5-day forecast to position ships and aircraft well in advance of a storm, thus instituted an effort to provide that level of 5-day forecast accuracy–and it had to be globally accurate. It was astonishingly accurate at predicting the landfall location and intensity of Katrina, 5-days from its second landfall. That’s when I realized their predictive forecast was working. The path for Florence worked very well also, as did the ECM model in general, though the intensity and central pressure forecast aspects did not. It seems it was the official, private and commercial ‘diversity’ models and ‘inclusiveness’ of models that seem to have produced the appearance of inaccuracy in forecast tracks, plus media nonsense. That’s why I always bypass TV forecasts (or in my case, BOM forecasts) and just go to the US Navy page instead. So enough of that, on to area and intensity. Cyclonic storms routinely increase (rapidly) in area as they intensify regardless of (tropical) latitude. I’ve observed an intense warm-core cat-4 tropical cyclone at 27 degrees south. A large initial low will usually generate a spread-out cyclonic wind field and cloud area as it intensifies. Likewise small initial lows tend to produce small area wind fields and a central-dense-overcast that is much smaller for most of the life of a storm. They can grow and shrink but initial conditions at the lower levels have a large impact on storm area as it intensifies and moves pole-wards. The USN page linked also provides a very useful track map that depicts the likely sector expansion and shrinkage of a storm’s radius and wind levels during the 5-day forecast. In general, it shows a common trend of a strengthening storm getting bigger, and a weakening storm getting smaller, irrespective of latitudes and troposphere elevation. That is not to say troposphere has not significant impact. But Tropopause elevation is a dynamic factor in such a storm as the deep convection cloud-tops over such a large area, can lift the local Tropopause elevation as the system “makes its own weather”–the atmosphere (being predicatively modeled in computer) responds to the atmosphere that was, and is. Resulting cloud-tops and humidity in upper levels show that the cyclonic storm convection strongly impacts all aspects of upper troposphere, as cloud-tops exceed the normal Tropopause elevation for that area and latitude for the season. Tropopause elevation may suppress the strengthening of a storm some with higher latitude of the path, but it’s less likely to be a major factor in dropping cyclone strength. Plus it’s fairly clear that upper level pressure is what directs the path, as it did in the case of Florence, via pushing it for NW to SW just before landfall. So Tropopause elevation affecting Coriolis input, was not a dominant aspect of resulting path for Florence. However the latitude of Wilmington is 34.2 north, well outside the tropics, so Tropopause may further squeeze the already large storm to spread-out more. You are most likely correct about that. But such squeezing from above does not mean it can’t maintain its strength or intensify, if other conditions are favorable. In this case other conditions were not favorable for maintaining strength to landfall as a large area of descending air over Georgia and South Carolina inserted drier air closer to the lower and mid level which fed into and wrapped around the storm during the final 12 hours before landfall, and the result was it rapidly atrophied the storm’s central dense overcast storms, plus its southern and eastern margin inflow bands. SST was about 28 degrees C in the affected area and could not compensate to as moisture to overcome the dry air input to the core. It thus could not maintain its central pressure and outflow as the convection intensity dropped. Thus it weakened out quickly to Cat-1 before landfall. Thank you for the the article, Dr Bell. A Freudian slip? No. He actually once again rang the bell of common sense. WOW – someone who actually presents a knowledgeable & factual reply of the tropical cyclone situation instead of all these air-chair weather watchers with a physics book in their lap who like to opine as if they know anything about the science of meteorology. Very good WxCycles! “It is hard to attribute any single weather event to climate change. But there is no reasonable doubt that humans are priming the Earth’s systems to produce disasters.” What a stupid statement. If it is hard to attribute any one single weather event to climate change, by what measure would you use to attribute one of them may be do to climate change? In other words, there is no practical way to attribute any of them hence it is not reasonable to say humans are “priming Earth’s systems to produce disasters”. Damn, even the movie industry is in the exploitation business, as evidenced by a line in the new Predator movie that I just went to see an hour or so ago. There’s a line in the dialogue about how long Earth has before climate change reduces it to a hothouse that will be more favorable to the predators. And we wonder why people like Paul McCartney are so confused. Brian Aldiss was way in front of this. Thank you Tim Ball for another highly informative article. It is particularly helpful to have a recognized climate expert like Dr. Tim Ball, who can dismiss all the nonsense we see on the news about global warming and climate change hysteria. The news media have NEGATIVE CREDIBILITY whenever they comment on climate issues –they are spewing a pack of lies that support their political agenda. Yes, yes the world’s experts in climate science are incompetent liars, we know —- it makes perfect sense. Thousands and thousands of them over the decades. No one has come along with observations and any sort of ABCD theory that can be repeatably checked out as contradicting the discoveries of climate science (and any other related Earth science) this last 150 years plus my friend. It, really really helps to have a conspiratorial mind-set … and tellingly an absence of common-sense driven by the mind-set that can manufacture a “Scum” because you don’t like the world they have discovered. If it were me nursing you I’d call the men with the white coats. I didn’t think shouted abuse was allowed. Taking the whole area affected by the Florence weather system, with its several million population, can anyone estimate how many accidental deaths would normally happen, on average, in a 5 day period? How does this compare with the 11 deaths “caused” by Florence? IF the normal 5 day period has 20 deaths does that mean the storm saved 9 lives using the same math used in puerto rico? Numbers would be too small combined with stochastic variability for any significance. But at least it would put the deaths in perspective. The concept of control and the null hypothesis is disappearing from the scientific consciousness of today’s closely knit media-political and scientific establishment. So called “gouging” is an emotive term used to manipulate people. Prices are always a reflection of supply and demand and if they go high, it is because of increased scarcity, often due to government impediments to increasing supply, such as FEMA blocking Walmart’s attempted delivery of bottled water after Katrina. As usual, Tim Ball’s comments about the AGW hoax are among the most cogent available and should be required reading for anyone examining the various aspects of climate change theories. There were four National Forests and three National Parks that were thought to possibly be in the path of the storm well after it made landfall. The Cherokee, Nantahala, Pisgah, Jefferson and George Washington Forests, the Great Smokey Mountains, the Appalachian Trail and the Blue Ridge Parkway that closed some or almost all of their developed recreational facilities and many access points and roads on Wednesday and Thursday of this past week because of the devastation expected from this ‘awesome’ storm’s violent winds and torrential rains. It ain’t happened yet as near as I can tell on Sunday, September 16th, 2018. My barometer has only fallen .4 from its high of 30.2 in the five days I’ve been carefully monitoring it. Perhaps it is well they erred on the side of caution. On the other hand, somebody might have sold them a pig in a poke named Florence. There is a fundamental philosophy underlying much of what goes on in the world today regardless if it deals with climate change, inner city violence, poverty, the environment or any other issue dramatized by our mainstream media and our politicians. It is a wholesale endorsement of this idea: If you believe your cause is good, noble or profitable, then the end justifies the means. If the means is lying, exaggerating, falsifying or even damaging someone’s reputation by doing these things for your cause, then it is justified. This philosophy was codified by Sal Alinski in his “Rules for Radicals” published many years ago when he devoted a whole chapter to justify such tactics as “—anything is fair in war”. The problem is once you do this, you eventually change the noble “ends” through the principle of unintended consequences, such as ignoring real and solvable environmental problems. Dr. Ball, the university associated with Dr. William Gray is Colorado State University in Fort Collins, Colorado, (the Rams) and not the University of Colorado in Boulder (the Buffaloes). The CSU / CU distinction is a minor one except to all the people at these two schools, which are rivals in sports, recruiting, fund-raising and other more symbolic activities. I believe you have made two errors. 2 “the majority of staff at these companies in Bermuda were young men and women formally working for Lloyds of London.” “formally” means that they were still nominally on Lloyd’s books as employees. I believe you mean “formerly”. Dudley Horscroft – Pendant First Class. Whoops – not “Pendant” should be “Pedant”. How art the mighty fallen! When you can’t refute the evidence you attack the person – this is another typical ad hominem attack. Weakened to a tropical depression early Sunday after blowing ashore as a hurricane with 145km/h winds, Florence was still spinning slowly atop the Carolinas as it pulled warm water from the ocean and hurled it onshore. I’m pretty sure that had Clinton been president, a study by Harvard would not have concluded that Maria killed 4645 people in Puerto Rico, instead of 65, nor would GWU have found that almost 3000 died as a result of the storm. Regarding your last sentence, why doesn’t the government mandate hurricane-proof building? Because no one would move there, there would be sticker shock. I lived on Guam which is hit much more often with stronger tropical cyclones and no one has a place to go. Your house is your typhoon shelter. The houses are built with concrete block and “200 mph coconut proof” windows and all the power poles are made of concrete. I believe that if there were no place for the residents of the east & gulf coast to go in the event of a hurricane, and if there were no one to bail them out with insurance that houses would be built to withstand hurricanes, and people would stop building in floodplains. Geomagnetic activity is still high. A jagged hole in the sun’s atmosphere is facing Earth and spewing a stream of solar wind toward our planet. Estimated time of arrival: Sept. 17th. Because the gaseous material will reach Earth only a few days before the onset of northern autumn, it may be extra-effective at sparking auroras–a result of “equinox cracks” in the geomagnetic field. While I agree with the thrust of your article, there are some errors. First, hurricanes start at 74 mph, but we like to round to the nearest 5 mph. Second, surface winds measured by aircraft are generally pretty accurate at both the surface and at flight level. The WC-130s are equipped with Stepped Frequency Microwave Radiometers, (SFMR) which measure the ocean surface winds with reasonable accuracy under most conditions. Dropsondes equipped with GPS also deliver accurate measurements of wind (and rain rate) from flight level down to the surface. Flight level winds can also be determined using the aircraft GPS, with fine resolution in space and time. All this to say that winds are usually measured quite accurately these days, and the only question is how representative these measured winds are of the storm’s max sustained winds. I might add that the WC-130s do not fly above the hurricanes, they normally penetrate at a pressure altitude of 10,000 to 12,000 feet. Now I have an important point to make here. I flew weather reconnaissance with the 54th Weather Recon Squadron (Typhoon Chasers) out of Andersen AFB Guam from July 1981 to July 1984 as an Aerial Reconnaissance Weather Officer (ARWO), and was credited with 56 typhoon eye penetrations. I also flew for 2 weeks with the 53rd WRS (Hurricane Hunters) in Sep 2008 as a mission scientist on 10 of their missions that were part of an international research project out here in the western Pacific, called TPARC. Eight of the missions were flown on Typhoon Sinlaku, and the other two were invest missions. Dr. Peter G. Black directed the effort here on Guam. Now here is the point: I am familiar with the recon business, and I can tell you that the top priority of every mission is to get the most complete, representative and accurate data possible consistent with safe flight, and get it to the forecast agencies that need it to produce the best possible forecasts and warnings. There is no political agenda, either among the flight crews or among the forecasters at NHC, which is under NOAA. No one at NHC is trying to make any hurricanes look worse than they are. The hype comes from the media. I hate to say this, but your understanding of atmospheric dynamics seems a little weak. No, hurricanes do not expand because the trop is getting lower as the storm moves poleward. I’ve seen plenty of typhoons that expanded while staying in the deep tropics on a westerly track. Forecasting really is a little more complex than just drawing a cone from a point, and if you really did look at tracks from previous years you would know that. So how did NHC do in their forecasts? Well in Advisory 39, issued late Saturday the 8th, NHC’s 5-day forecast had Florence about to make landfall near Wilmington NC late Thursday the 13th—five days later. In fact, Florence did make landfall near Wilmington late Thursday/early Friday, and Wilmington reported a gust to 105 mph in the northern eyewall. I’d say that was pretty good forecasting. Next, the sea surface temperature was plenty warm enough in the Gulf Stream along the coasts of the Carolinas: in the lower to mid 80s F. Florence weakened primarily due to upper-level southerly wind shear that disrupted the storm structure near the center, causing the eyewall to open up, and weakening the winds. Finally, the lowering of pressure in the eye can only raise the ocean surface 2 or 3 feet at most. The main cause of storm surge is the wind, that piles up water ahead of the storm as it encounters a continental shelf. The 1900 Galveston Hurricane killed so many people because of the massive storm surge that was built up by the winds, and because of the lack of knowledge about hurricanes back then and the resulting lack of effective warnings. There was no earthen dam, by the way–check it out. Dr. Ball, you make a lot of good points concerning media/business/gov’t hype, and concerning the fact that Florence was a perfectly normal hurricane in a normal climate. But your essay is marred by the many untrue assertions about hurricanes and hurricane forecasting, which can only undermine your main thesis. As a skeptic myself about AGW/climate change, I would urge you to be more careful. OUTSTANDING POST!! Yet another example of knowledgeable & factual meteorological information (something sorely needed around here at times). Thank you for your service! I believe the weakening was more due to ingestion of dry air on it’s SW side. The satellite imagery (GOES-16!) did not show any blow off of upper-level clouds on the up-shear side (outflow was fairly symmetrical) nor the exposure of low-level clouds up-shear which is typical of shear events. However, wxsat imagery did show the evaporation/loss of deep convection as it was wrapping around the core. This works against the latent heat effect, cooling the core & upper-level high and weakening the system. Similar thing happened to Katrina in the days before landfall. Actually, that was also a big factor that ties in with the shear, which may help dry air penetrate into the center. Radar imagery showed the dry slots clearly. The shear was 20-25 kt according to NHC. Thanks for your improvement on my analysis. I haven’t found a single working link in this article. I am sure it is just an oversight but I do like to check those things. I second the fact that none of the links in the article work. Who was stupid enough to allow this or how much did they get to ignore the obvious. And yet we give WUWT and their hysterical reporting of the storm? Didn’t I see a Never before has a storm been so high with Cat 4, and due to extra warm coastal oceans – which haven’t been seen in years the storm Cat would go up up up – we would need to invent new levels just for this storm. And then dud. Lets not criticize the media too much when WUWT is just as guilty. Seems like you really had something to say, it also seems you rushed it out. There is no rush, things won’t change overnight. Our esoteric analysis of the coverage is not the major story. Florence was real, affecting real people. Millions of them. The Galveston death toll estimate is 6,000-12,000, most likely about 8,000. A record any way you cut it. But what earthen dam failed? The city was unprotected and the waters rose, submerging ferry landings and railways. Death was by drowning or being crushed by debris. The SeaWall was built in response. Having benefited from cheaper living in flood-prone residential areas and shorter commutes to work. I grew up on the Gulf coast in the 50’s and 60’s. The Hurricane cycle was very strong in those years. There was almost a carnival atmosphere on the coast because you built it knowing it would be swept away within a few years. My cousins lost a house from Carla but found a number of wrecked pianos left on the property…..and snakes! Go figure.